This doesn’t mean that email marketing is not significant or effective and that you should forget about it, because it still remains very important and effective and it will certainly continue to do so for many years to come. What this means is that you should empower your business by developing an SMS text messaging strategy to add to your marketing mix. When it comes to SMS versus email marketing, the average open rate for SMS is a whopping 98%, while the average open rate for email is 22%. This is completely off the charts, but it shouldn’t really come as a surprise, given the fact that people nowadays seem to be glued to their mobile phones. These statistics truly speak volumes about the huge power of text messages and the impact they can have on your business, which is why you should integrate your text message marketing with your other marketing strategies. Here are several ways you can do it. Combining your text messaging campaign with email marketing is an awesome way to extend your reach and generate many more leads and conversions. You can quickly attract more potential customers and engage them in your brand, effectively increasing your conversion rates, sales and ROI. You can successfully build and grow your email list with the help of text messages by offering your SMS recipients the chance to subscribe and be the first to receive the latest updates and announcements about your new products or services, discounts and sales, as well as any other exclusive offers and brand information you share on your website and blog. You can also attract your target customers the other way around – by including SMS opt-in codes in your emails and compelling your email subscribers, who are already interested in your brand, to simply type the code and send a free text message in order to opt in and always get the latest scoop about your brand. You can also mention in your emails that your SMS subscribers will receive additional discounts, for instance. You can include any other kind of enticing incentives that will make people genuinely interested in what you have to offer and make them want to receive texts from you regularly. You can also send SMS messages as follow-ups to certain emails, as that way you will increase your response rates and engage people more in your business. Social media networks are undeniably the best way to reach out to more potential customers, as you can extend your reach on a global scale. Imagine then how many customers you can attract by combining your SMS marketing with social media. You can include links to all your social media accounts in your text messages, so that all your recipients can easily click through and check out your social channels, without having to search for them on their own. Another beneficial strategy is to promote your social media contests and sweepstakes with the help of text messaging. You can include shortcodes in your SMS messages that will allow the recipients to enter the contests and sweepstakes for a chance to win. Again, you can do this the other way around by sharing the text-to-win SMS codes on your social channels, so that your followers can easily enter the competition. You can significantly increase your website traffic and generate more quality leads with text message marketing. Just as with email and social media marketing strategies, you can simply add direct links leading to your website in your text messages and include incentives for instantly engaging people and making them interested in what you have to offer. If you have an app that your customers can download on your website, SMS marketing can be of great help as well, since you can add a direct link that people can click through and instantly find themselves on your web page where they can download the app. Basically, anything that you promote on your website can be successfully promoted through your text messages. All you have to do is create enticing copies that will instantly capture your recipients’ attention and make them want to opt-in and hear from you on a regular basis. SMS messages can also be very beneficial when combined with various forms of offline advertising. If you have a brick-and-mortar store and you are hosting a special event to promote the launch of a new product, for example, you can let your recipients know about it instantly. Also, you can post banners and flyers at your location, as well as put up billboards and other business signs, all of which will include SMS codes for opting in and getting exclusive offers about your brand, subscribing to your email and getting the latest scoop, or entering contests. There are many clever ways to market your business with text messaging and generate leads and conversions that will help you increase your sales and revenue and take your business to a whole new level of success. The aforementioned tips are just a few to help you get started on the right foot, but they are more than enough to bring you outstanding results. 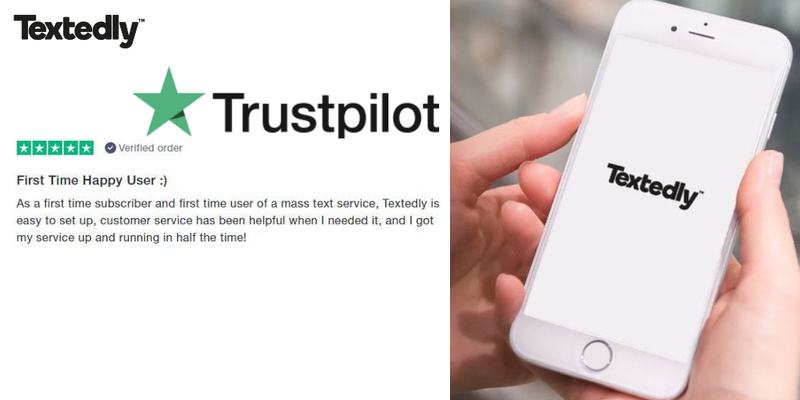 Check out our text messaging platform and find out how easy it is to instantly send thousands of bulk SMS messages and considerably enlarge your audience. 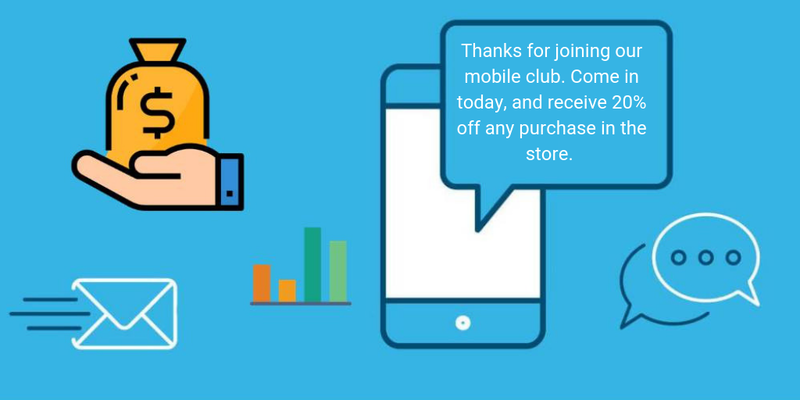 Create your account at Textedly and take it for a free test drive, and you can send a free text message to subscribe and join our mobile club. Feel free to contact us for any further questions and we will be more than happy to help you out.